A study has examined a 2000-year history of greenhouse gases in the world's atmosphere, providing key data for taking action to tackle climate change. The article, led by Dr. Mauro Rubino, a lecturer in Environmental Science at Keele University, has been published in ESSD. Guidelines, requirements and benefits of the ESSD processes are defined in an editorial recently published in ESSD. Detailed data of the Global Carbon Budget 2018 were made available in Earth System Science Data (ESSD) today. Copernicus Publications recently launched its full-text HTML workflow and optimized the ESSD website for mobile devices. Thereby, the user experience is significantly enhanced when reading ESSD articles. We are very happy to welcome five new chief editors to guide the further development of the data-publishing journal Earth System Science Data (ESSD). On 13 July 2018 Earth System Science Data will introduce the transparent post-discussion review. We are very pleased to announce the 10th anniversary of Earth System Science Data. Join us in celebrating 10 years of data publishing at the EGU General Assembly 2018 in Vienna, taking place at the Copernicus booth (exhibition - yellow level), Thursday, 12th April, 15:00. Detailed data of the Global Carbon Budget 2017 were made available in Earth System Science Data (ESSD) today. The Tinker-Muse Prize is awarded to an individual who has demonstrated excellence in Antarctic science and/or policy and who shows clear potential for sustained major and significant contributions that will enhance the understanding and/or preservation of Antarctica. The deadline for nominations is 17 May 2017. Today, Earth System Science Data published the inaugural global methane budget. This budget quantifies for the first time the ensemble of the many sources and processes that determine global methane concentrations in the atmosphere. Detailed data of the Global Carbon Budget 2016 were made available in Earth System Science Data (ESSD) today. The ESSD chief editors are delighted to announce that Earth System Science Data (ESSD) has received its first Journal Impact Factor. We would like to invite you to our ESSD reception at the 2015 AGU Fall Meeting in San Francisco. Please join us on Tuesday, 15 December 2015 at 11:00 at the Copernicus booth (#1133). We have summarized the upcoming changes to ESSD by the end of the year. Detailed data of the Global Carbon Budget 2015 were made available in Earth System Science Data (ESSD) today. In cooperation with the TIB|AV-Portal ESSD authors can now add short, citable video abstracts and video supplements to their articles. From January 2016 onwards, ESSD will see changes to the way papers are archived and paid for. Earth System Science Data (ESSD) has received the new DOAJ Seal which recognizes journals with an exceptionally high level of publishing standards and best practice. Earth System Science Data (ESSD) has become a member of the Committee on Publication Ethics (COPE) and thereby subscribes to the principles of COPE. In the context of the 6th Plenary RDA meeting, a special challenge aims to connect climate change related data sets with startups, SMEs, and larger organizations with practical application for these data. The peer-review process of the latest annual update of the global carbon budget is completed and the paper has now been published in its final form. ESSD has been indexed in the Web of ScienceTM as one of the first of the emerging genre of data journals. 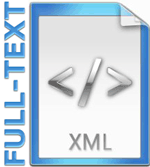 Earth System Science Data (ESSD) has started an XML-first workflow and will provide all new articles in full-text XML from now on. We are very pleased to announce that Scopus has completed its evaluation of ESSD and will include it in the database. 19 Jul 2013 Oceanographers publish new global plankton atlas in "Earth System Science Data"
The MAREDAT team has made their first global atlas of marine plankton publicly and freely available through ESSD.